Whenever something is mysteriously popular you have to revert back to psychology to get an explanation. Human beings have so many psychological needs that need to be fulfill. Sometimes they fulfill some of those needs while being aware that they are doing so while in other times they get addicted to certain things without understanding that the reason for this addiction is that those things help them satisfy some of those important needs on the unconscious level. Here is a simple real life example: So many people smoke cigarettes when they feel stressed because the act of smoking makes them feel in control (because they do the same repetitive move over and over). In such a case those people smoke cigarettes just because they need to feel in control. 3) Opposing authority figures: The police man running after you in the game represents the authority figures you want to escape from in real life. 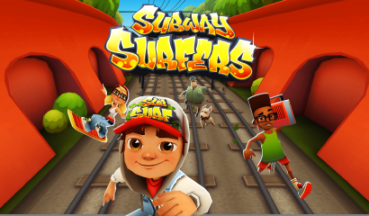 When you play subway surfers you get the chance to oppose those annoying authority figures then escape from the punishment, Something that every human would want to do at least once in his life. Fortunately getting addicted to subway surfers won't cause a great harm but some other types of addictions are deadly. In my book The Ultimate guide to breaking habits i said that people always try to break habits the wrong way and that's why they never manage to do it. The right way to break a habit is to understand why your mind needs it from a psychological point of view. Once you find that need you were looking for you will easily be able to replace that harmful habit with a good one that satisfies that same important need in a harmless way. 2knowmysef is not a complicated medical website nor a boring online encyclopedia but rather a place where you 2knowmysef is not a complicated medical website nor a boring online encyclopedia but rather a place where you will find simple, to the point and effective information that is backed by psychology and presented in a simple way that you can understand and apply. If you think that this is some kind of marketing hype then see what other visitors say about 2knowmyself. Why is candy crush so popular? Why is the Giraffe riddle so popular?